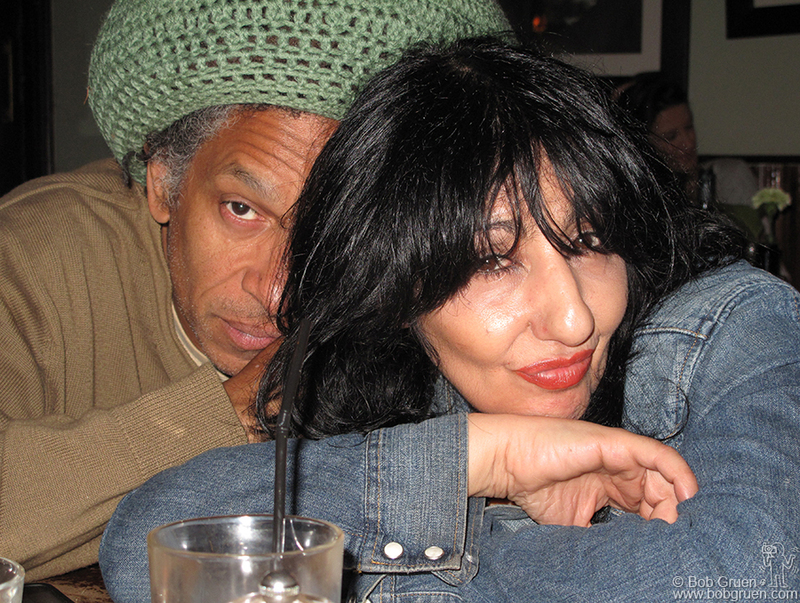 September 22 – London – Whenever I’m in London I catch up with good friends Don Letts and Patti Palladin, always great fun! 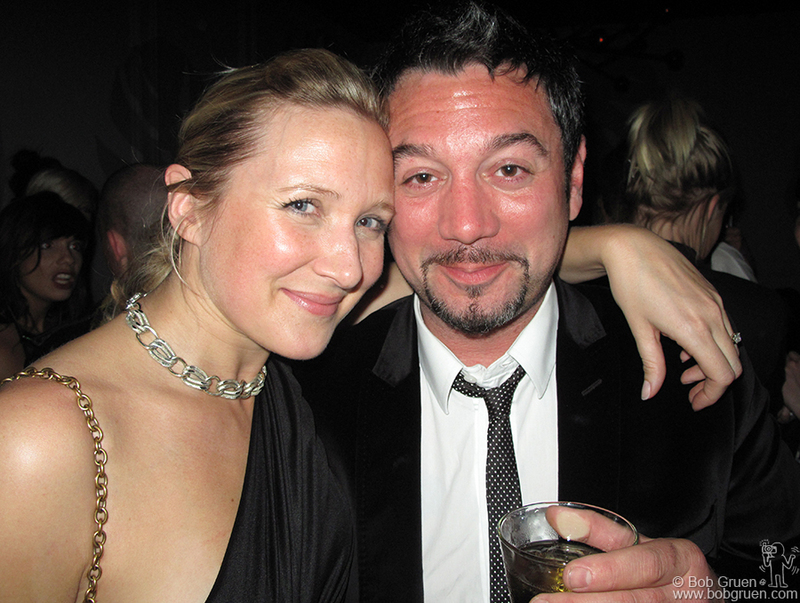 Another good friend living in London is Huey Morgan (above with his wife at Bungalow 8), leader of the ‘Fun Lovin’ Criminals’ and now a very popular DJ on the BBC. 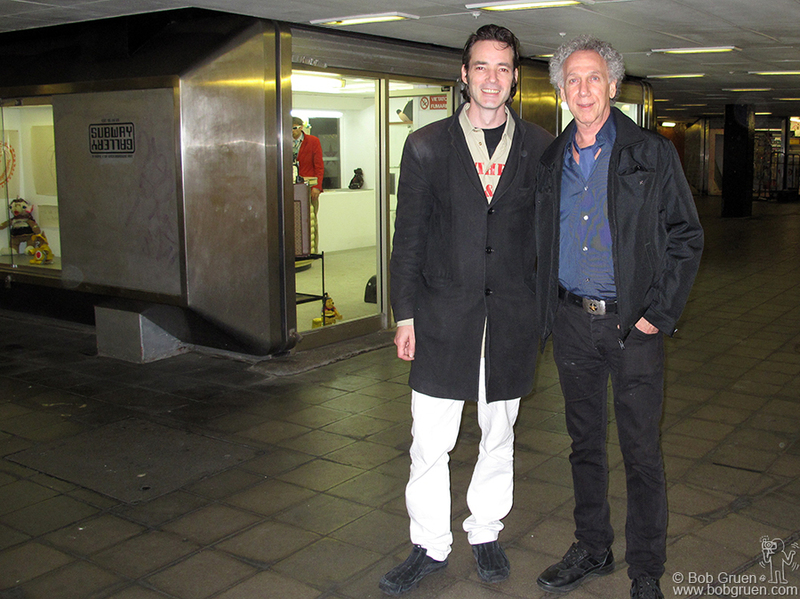 Gordon McHarg is director of the ‘Subway Gallery’ in the underpass at Marylebone flyover in London. 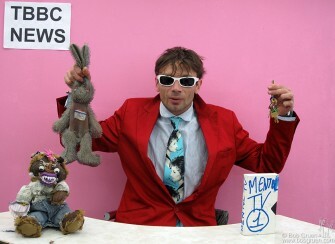 He showed me the space and we made plans to have an exhibition of my ‘Teenage Bedroom’ installation there in June. Frenchman Tony Bear was the artist showing at the ‘Subway Gallery’ in September. 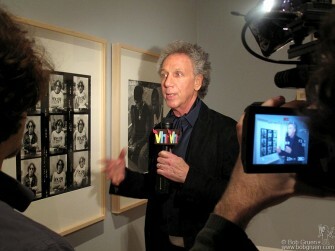 Here he is with some of his exhibit. 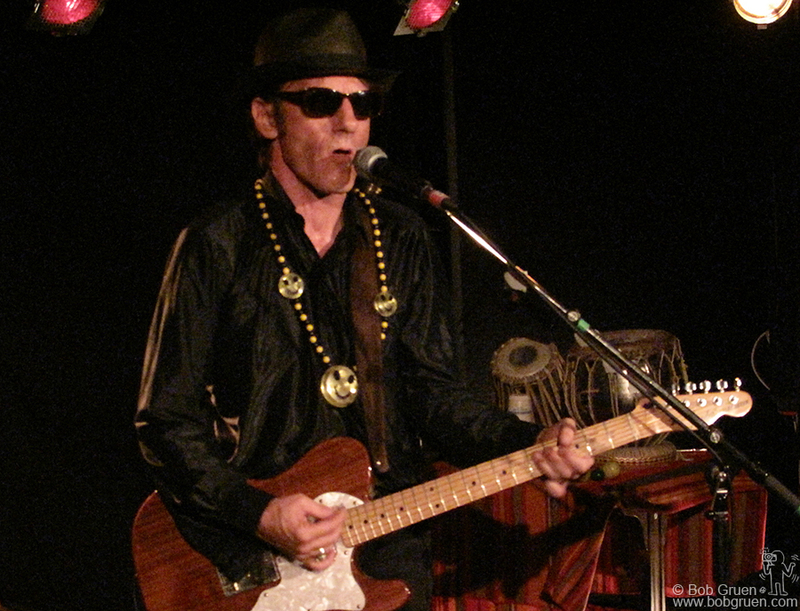 In Paris we saw writer/singer Gilles Riberolles play a very interesting show where he played with multiple sound loops so he made himself sound like a full band. A main stop on my trip was to catch up with friends Marc Zermati, founder of Skydog Records and Philippe Manoeuvre, editor of Rock and Folk magazine and now a big French TV personality. 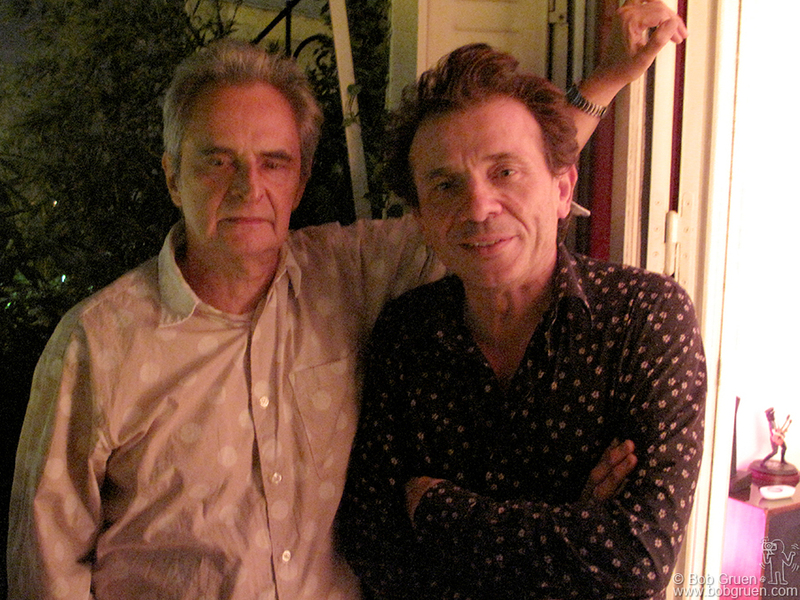 September 26 – When I’m in Paris I always say hello to my good friend Bruno Blum. 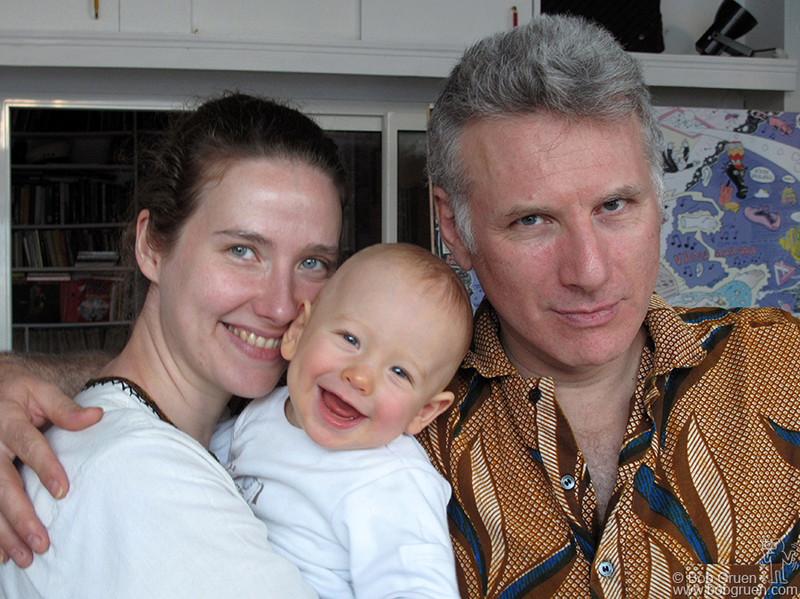 Artist, writer, record producer, rock singer/songwriter, and now new father of the happiest baby boy I’ve ever met named Romeo, above with his mom Lola. Congratulations to them! 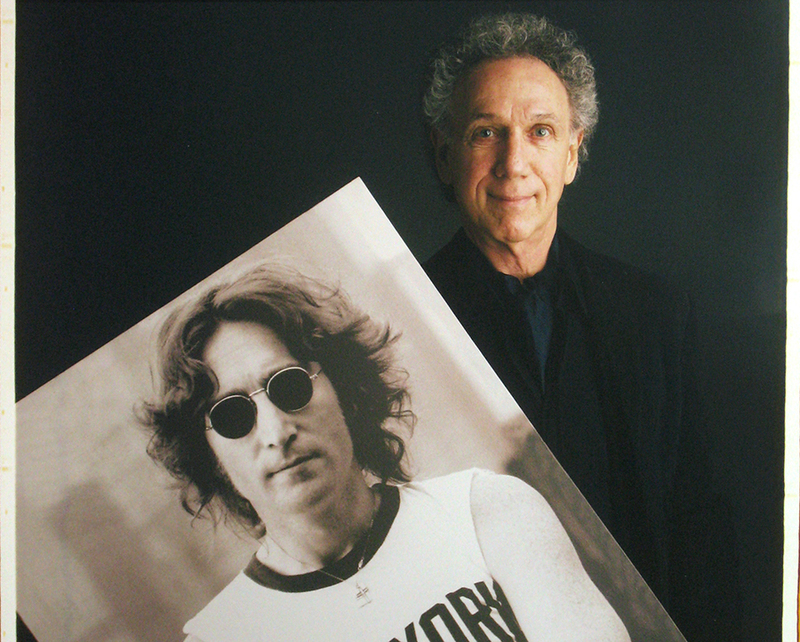 Back in New York Photographer Tim Mantaoni included me in a series of poloroid photos of photographers he’s making for a book project. I was really happy with his portrait of me with my Lennon photo. 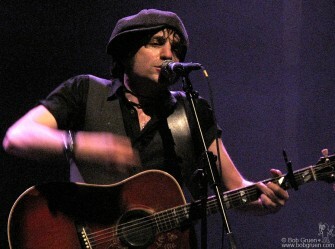 October 15 – Jesse Malin played a great show at Terminal 5, opening for the Gaslight Anthem. He has finished the album he’s been working on for the past year and hopes to have it out in the Spring. 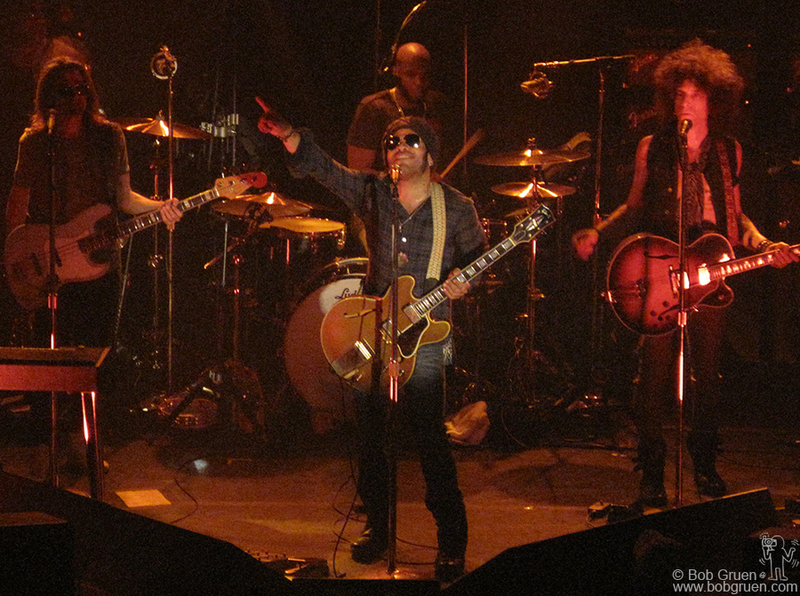 October 11 - Lenny Kravitz played for a week at the Fillmore East/Irving Plaza and rocked the packed house night after night. October 11 – Lenny Kravitz played for a week at the Fillmore East/Irving Plaza and rocked the packed house night after night. 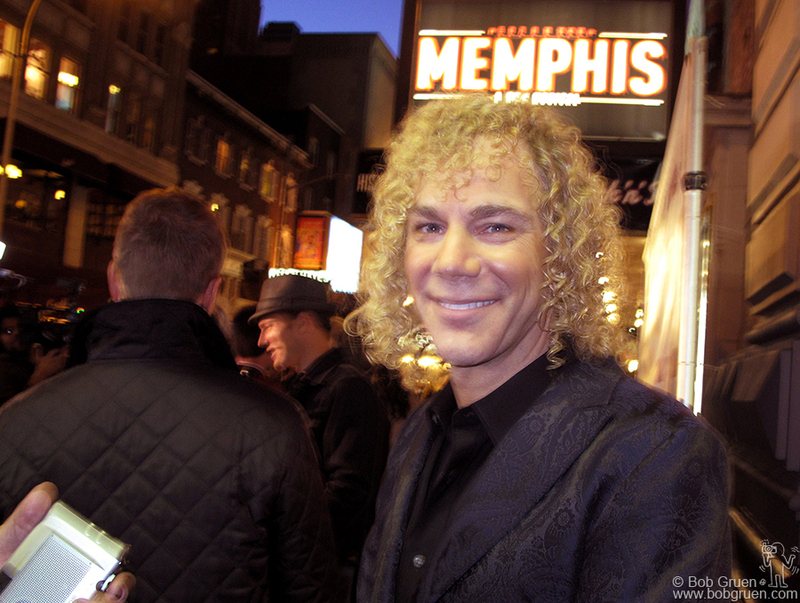 October 19 – David Bryan of the Bon Jovi group stepped out from behind his piano to attend the opening of ‘Memphis’ the broadway play about the origins of Rock and Roll for which he wrote the music. 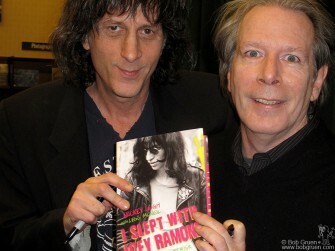 It’s a really fun show, go see it. 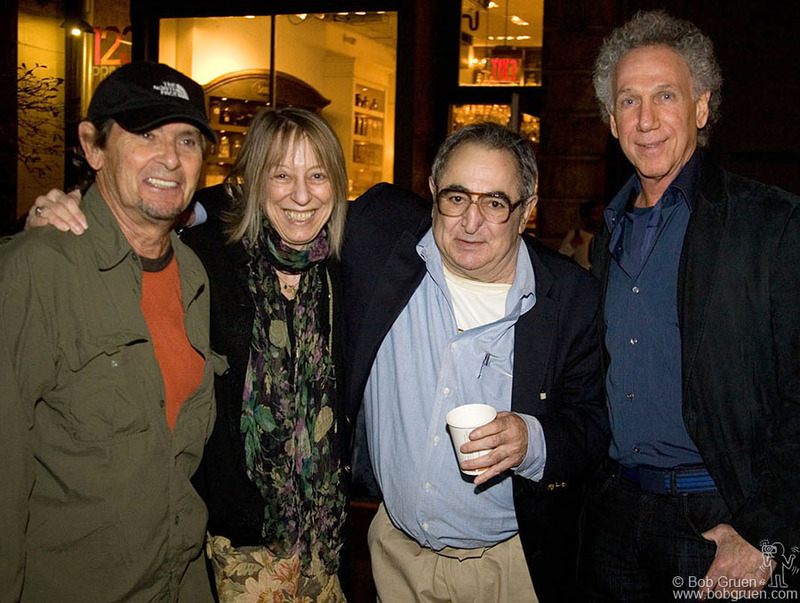 October 22 – I got to hang out with the legendary rock photographer Jim Marshall at his opening at the Morrison Hotel Gallery on Prince street and he introduced me to his friends Bobby Neuwirth and Suze Rotolo. 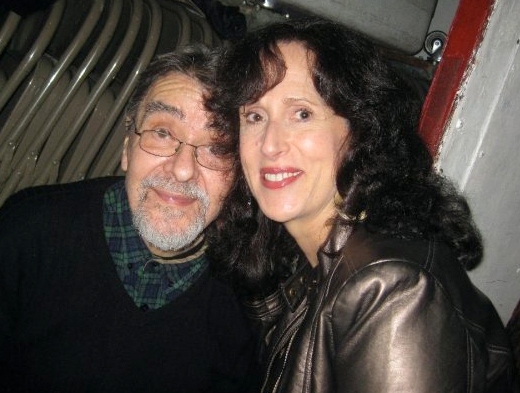 October 23 – the very generous Giorgio Gomelsky, above with his good friend Janice Daley, was the host of my 64th birthday party at his loft. 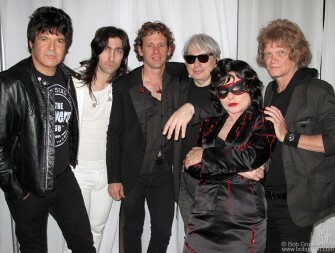 Blondie tribute band Pretty Baby, led by singer Tammy Faye Starlite did a good job of covering the ‘Parallel Lines’ album at my party. Bebe Buell showcased songs from her new album for the crowd at my party with a band led by her husband Jim Walls. There is a small caricature of me in her new video for her song ‘Air Kisses for the Masses’. 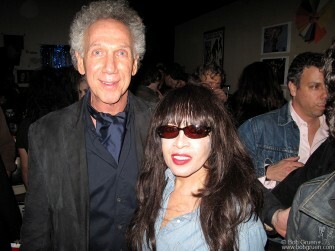 The biggest thrill for me was when Ronnie Spector stopped in to say Happy Birthday! 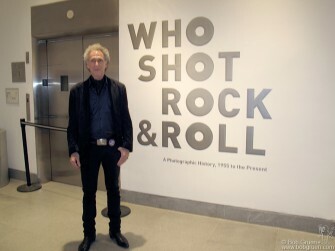 October 29 – I am very honored to be part of the exhibition ‘Who Shot Rock & Roll’ at the Brooklyn Museum. 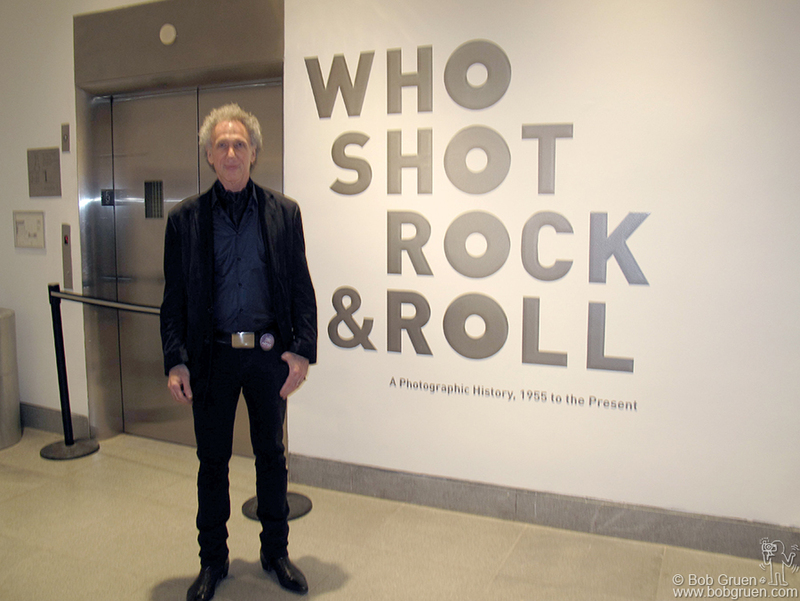 It’s a great show featuring over 100 photographers who pioneered the genre of Rock & Roll photography. Art Director/Photographer Josh Cheuse was the hip DJ at the opening party at the Brooklyn Museum exhibit, above, with me and our friend, director Jim Jarmusch. 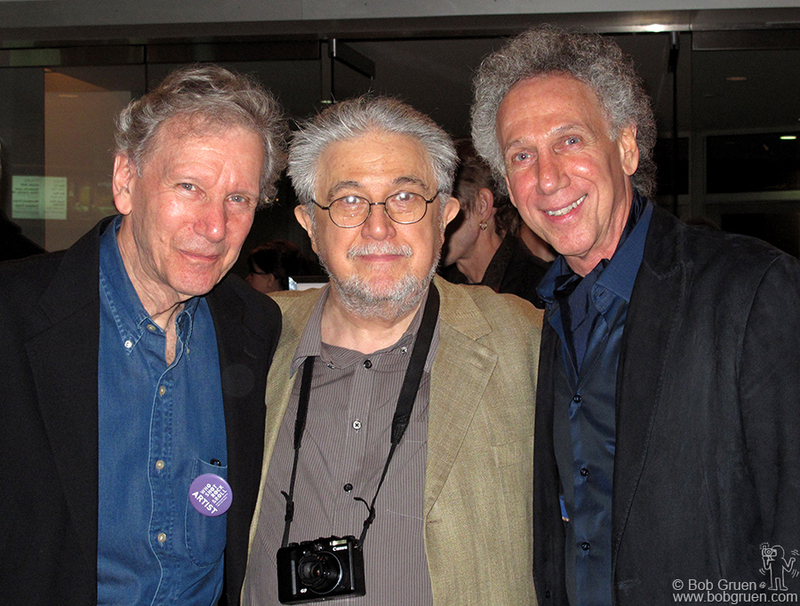 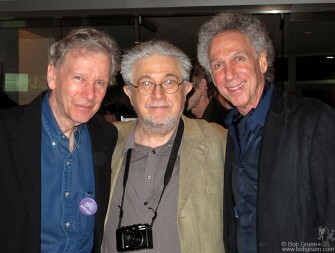 I joined in a photo with two great photographers; Daniel Kramer (known for his early Bob Dylan photos) and Alfred Wertheimer (who took photos of an up-and-coming Elvis Presley). 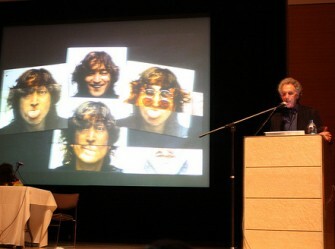 The large exhibition was curated by Gail Buckland who also wrote the text for the catalog book of the exhibit. The exhibition will travel to Worcester Art Museum, Worcester, MA; Memphis Brooks Museum of Art, Memphis, TN; Akron Art Museum, Akron OH and the Columbia Museum of Art, Columbia, SC. 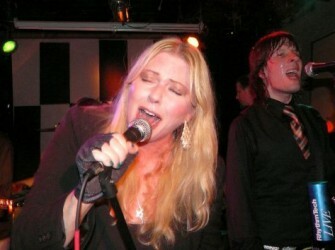 Blondie took a break from recording a new album to play at the opening party for the Brooklyn Museum exhibit. Debbie got into the ‘almost Halloween’ feeling with her masked look. 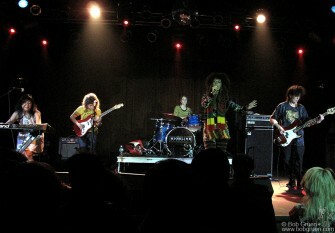 The overflow crowd of 4,000 people danced and had a rockin’ time. November 6 – I went to Woodstock where the Blondie group was recording a new album. 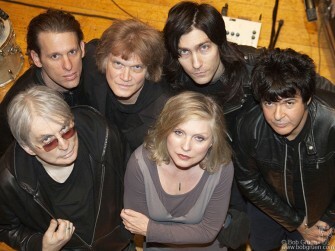 They are Chris Stein, Paul Carbonara, Leigh Foxx, Debbie Harry, Matt Katzbohen and Clem Burke. 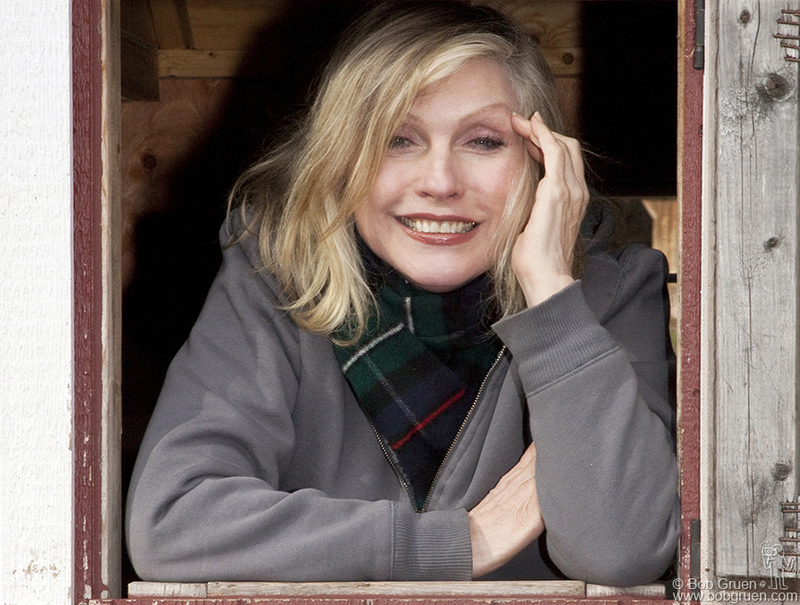 Debbie looks as cute as ever looking out of a country house window. November 7 – I was honored that Gail Buckland asked me to give a photo talk at the Brooklyn Museum which was a sold out success. November 12 – John Varvatos (on left), myself and Legs McNeil (on right) hosted a night at the Studio @ Webster Hall for a performance by Richard Lloyd (formerly of original punkers Television). 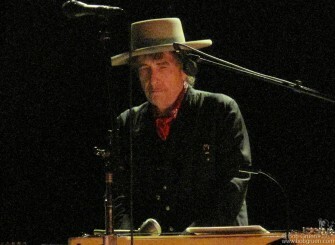 November 17 - Bob Dylan brought his band and brilliance to the United Palace theater. 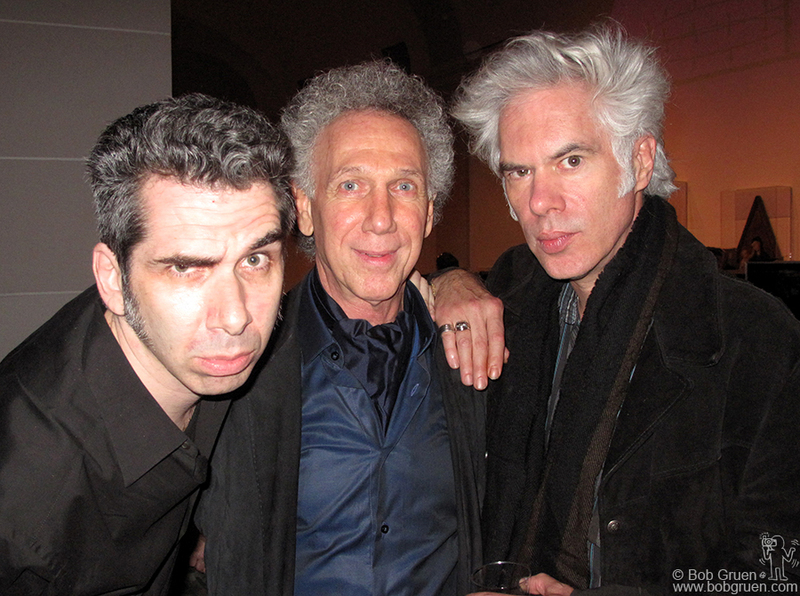 He played many of his songs with new arrangements but I was just happy to be in the presence of the master. 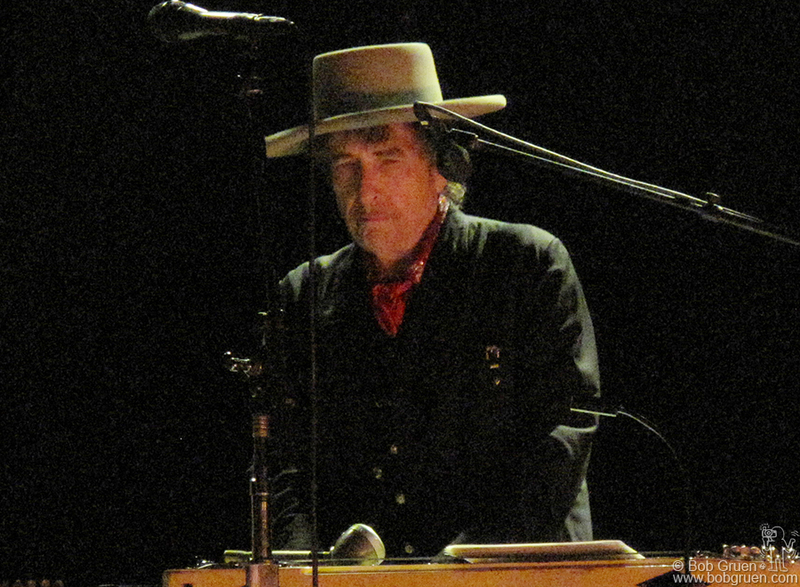 November 17 – Bob Dylan brought his band and brilliance to the United Palace theater. 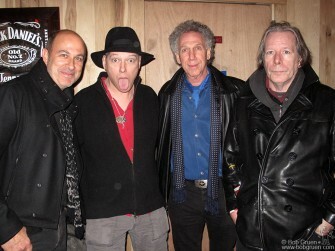 He played many of his songs with new arrangements but I was just happy to be in the presence of the master. 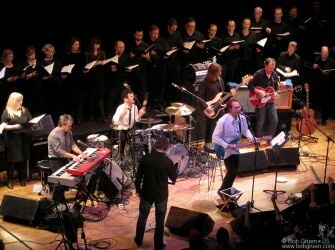 November 19 - Ray Davies played his songs, including a number of Kinks hits, with a large chorus of singers at Town Hall! November 19 – Ray Davies played his songs, including a number of Kinks hits, with a large chorus of singers at Town Hall! December 1 – Joey Ramone’s brother Mickey Leigh and co-author Legs McNeil read from their new book ‘I slept with Joey Ramone’. 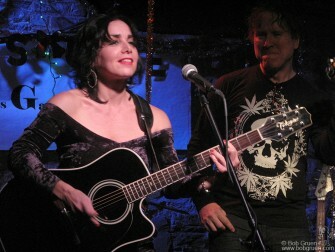 December 8 – Singer/songwriter Jana Peri treated the audience at the Exile on Bowery party to a set of her songs. The party is a monthly reunion of the gang that used to hang out at CBGB. 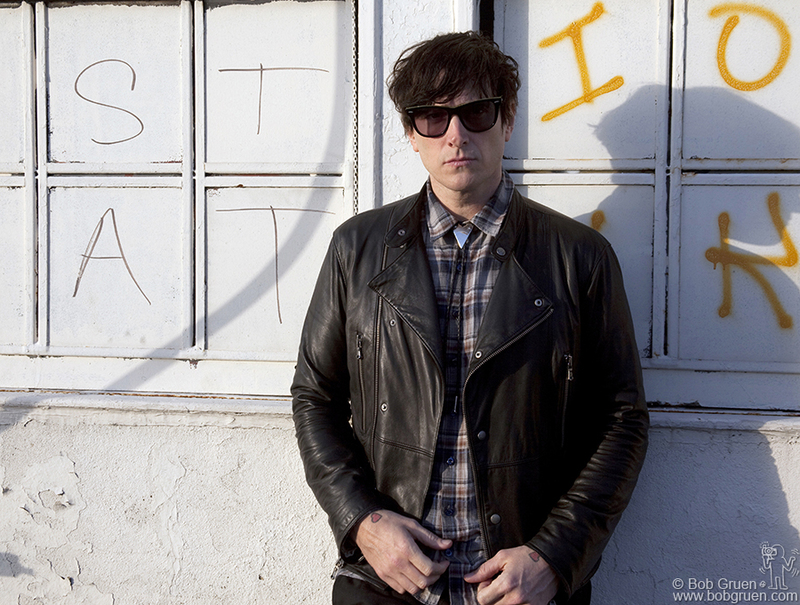 December 9 – I did a photo session with Butch Walker while he was in town appearing in several shows in New York. Ari Up brought the latest version of the seminal 1970’s punk girl group the Slits to the Highline Ballroom. I thought it was interesting that instead of getting musicians her own age to play the songs originally made by teenagers, she got some very young present day teenagers to play in the new version of the group. 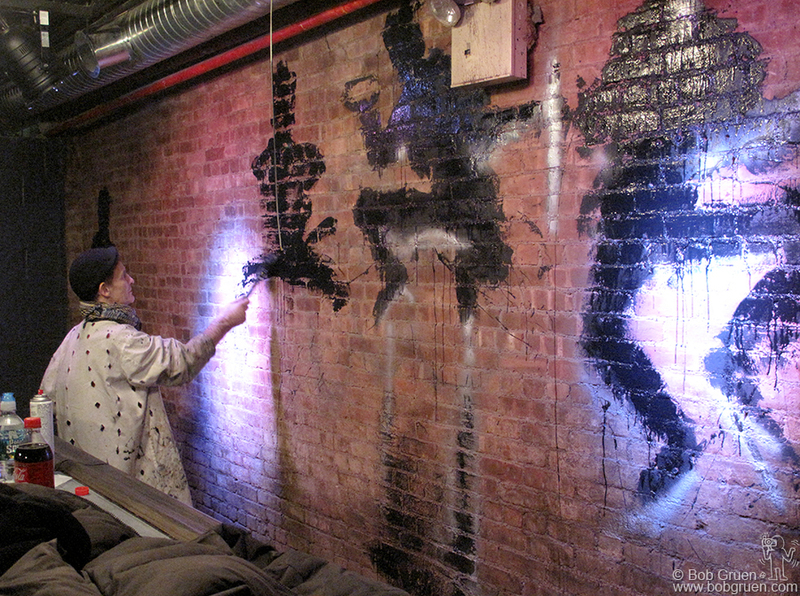 Famous graffiti artist Richard Hambleton created some of his ‘Shadow Man’ paintings on the wall of a new club being finished in the basement of the space on the Bowery that used to be the CBGB gallery. Hilly Kristal had started developing the space before he closed and now it’s finally being finished.